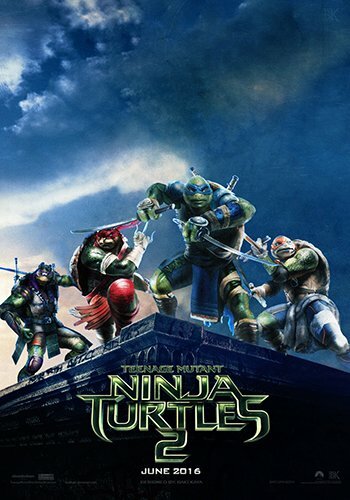 Secuela de 'Ninja Turtles' (2014) de Jonathan Liebesman. Las tortugas ninja vuelven a salir de las sombras para proteger la ciudad de Nueva York del malvado Shredder y sus nuevos aliados. Megan Fox, Alan Ritchson, Jeremy Howard, Pete Ploszek, Noel Fisher, Will Arnett, Laura Linney, Tyler Perry, Brian Tee, Tony Shalhoub, Stephen Amell, Brittany Ishibashi, Stephen Farrelly, Gary Anthony Williams.